Jimmy has been a resident of Meridian for over 40 years. He is a graduate of Meridian High School, and gained his Business Administration Degree from the University of Mississippi. Jimmy previously owned and operated a lampshade manufacturing company in Meridian for the past 25 years. He married Meridian native Jolie Jackson in 1999. They have two children, Alexa age 16 and Austin age 14. Both children are active in area sports programs. Their family is actively involved in youth programs and other ministries at Central United Methodist Church in downtown Meridian. 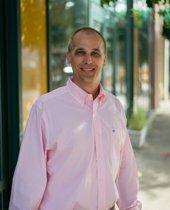 With Meridian being their hometown, Jimmy is excited to bring his business knowledge and expertise into the Real Estate industry and looks forward to assisting you with all of your Real Estate needs.